Deputies responded to find that Mr. Chalupski had sustained a single gunshot wound to the chest. A witness at the scene explained what had happened to the responding Deputy(s) and that the suspect had left the scene driving a lawn mower back to her residence just down the road. Investigators arrived shortly after the initial call to process the scene. Contact was made with the suspect who lived just down the road. Janet Weaver, 54 of Clinton was arrested and charged for Battery in the First Degree – Class B Felony. 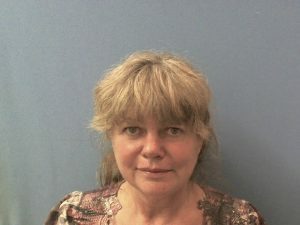 Ms. Weaver was released from the Van Buren County Detention Center on a $10,000 bond. This case is on-going with the possibility of other charges being filed.